I designed this logo for The Science Advisory Board to help brand the SciPulse Perspectives initiative. Rapid response surveys take the “pulse” of scientific minds all over the world. Surveys are completed by board members and the data is then analyzed and released back to the members for discussion. 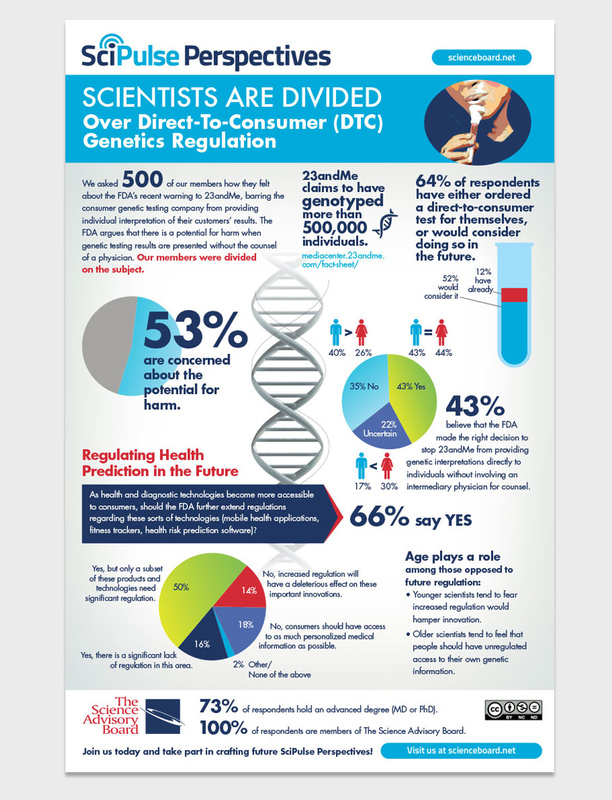 In this first survey, the scientists shared their views on the direct-to-consumer genetic testing industry. The responses were then presented in an infographic which was shared digitally through the website and social media.